Dubai has many exciting modern landmarks, including the Burj Khalifa which is the world’s tallest building. It also boasts stunning marinas, shopping malls and impressive man-made Palm Islands. As well as taking in all the modern wonders the city has to offer, it is also well worth visiting the souks and enjoy stepping back in time to discover the city’s traditional side. 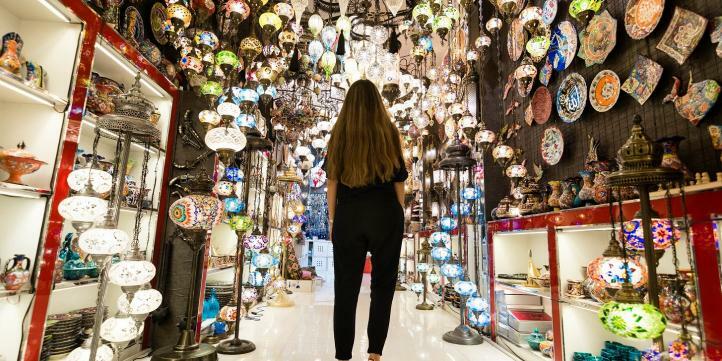 We spoke to bloggers who have visited Dubai’s souks to get their tips and advice on how to make the most out of your trip. Haggling is an “absolute must” when visiting the souks, according to blogger and tour guide Nada from Wander with Nada. Haggling, or bargaining, is where the buyer and seller talk to negotiate the price for an item. Nada also explained that the old-world charm of the city’s historic souks is what she considers to be its most impressive feature. She said: “Although the souks may now be shadowed by the many high-rise buildings surrounding them, time seems to stand still upon entering their narrow streets. “The stores are still populated by salesmen whose linguistic abilities today are fairly impressive catering to tourists from all over, and who want to sell you anything and everything. Products range from intricately designed gold jewellery to exotic spices, rich incenses, and colourful textiles. “Nothing makes a Dubai souk seller happier than a returning customer”, according to Paolo, editor of Weekend UAE. The market sellers can be extremely chatty and love to engage in conversation with passers-by and potential customers. Paolo said: “Visit often, and you'll be surprised how the relationship with the seller develops over time. In fact, the first visit is never for an actual purchase, more like reconnaissance to get the lay of the land. Paolo grew up in the Middle East and has spent more than 20 years living in the UAE. He said that long-term residents consider the souks as the heart of the city. Paolo explained: “The banter and good-natured approach of the stall-keepers still makes for a unique atmosphere, a real cacophony of sights and sounds that represent market trading as it used to be. Inma enjoyed visiting the various souks Dubai has because they “offer a more local and authentic experience.” She went on to explain that tourists are highly respected in the city. So, enjoy, explore and soak up all the wonderful traditions the historic souks offer. Dubai has a hot climate, it’s located in the Arabian Desert, close to the Tropic of Cancer. 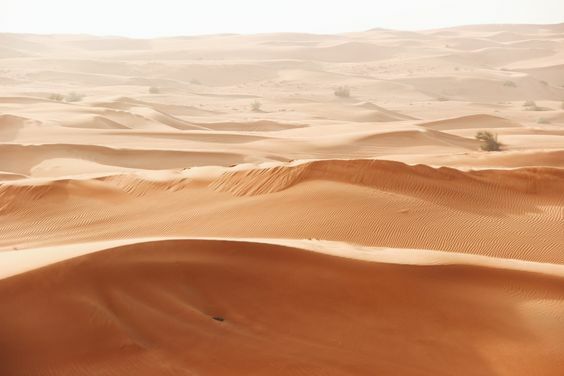 After March the temperatures and humidity levels increase, so this is something to consider when visiting the UAE. Give our other article ‘When’s the best time to visit Dubai?’ a read for some more information about the best months to plan your visit. Blogger Laura from Life with Baby Kicks suggests visiting the souks later towards the evening in order to avoid the mid-day heat. With the balmy weather in mind, it is also best to stay hydrated with plenty of water and keep applying sun-cream. An Abra is a traditional wooden boat which is used to ferry people across Dubai Creek. Boats depart every few moments and it is a fantastic way to experience the traditional side to Dubai and allows you to take a scenic route to get to some of the souks. There are many souks in Dubai so taking your time to wander around the traditional markets to fully appreciate what they offer is a must. From gold and spices to textiles and perfumes, you are sure to find that extra special item, either for yourself or a gift for someone. Author and historian Nicola Tallis said the souks of Dubai was unlike anything she had previously experienced. 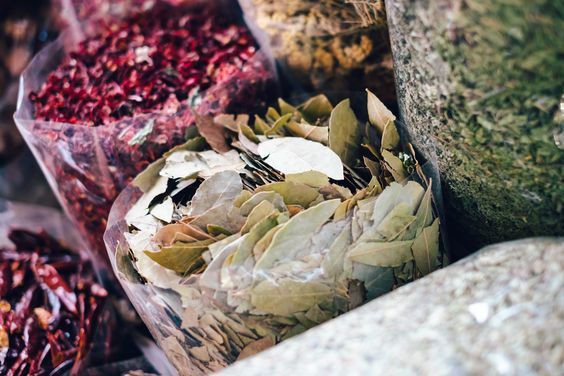 She told us: “The aroma as you stroll through the spice souk is heavenly, and you become completely immersed in the local culture with shop owners trying to tempt you into their shops to strike a deal. 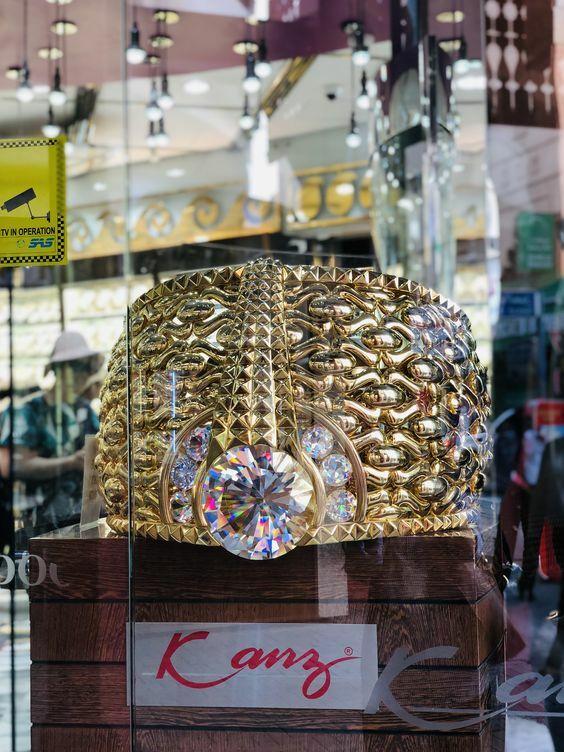 “You're completely overawed and open-mouthed by the glistening jewels on display in the gold souk, and it really is a completely unique experience. If you're looking to experience a piece of the real Dubai, visiting the souks is a unique opportunity - one that will leave you feeling completely inspired. The city is truly a place of wonder and no matter which Dubai attractions you choose to experience you are guaranteed to create many fond memories from your trip.